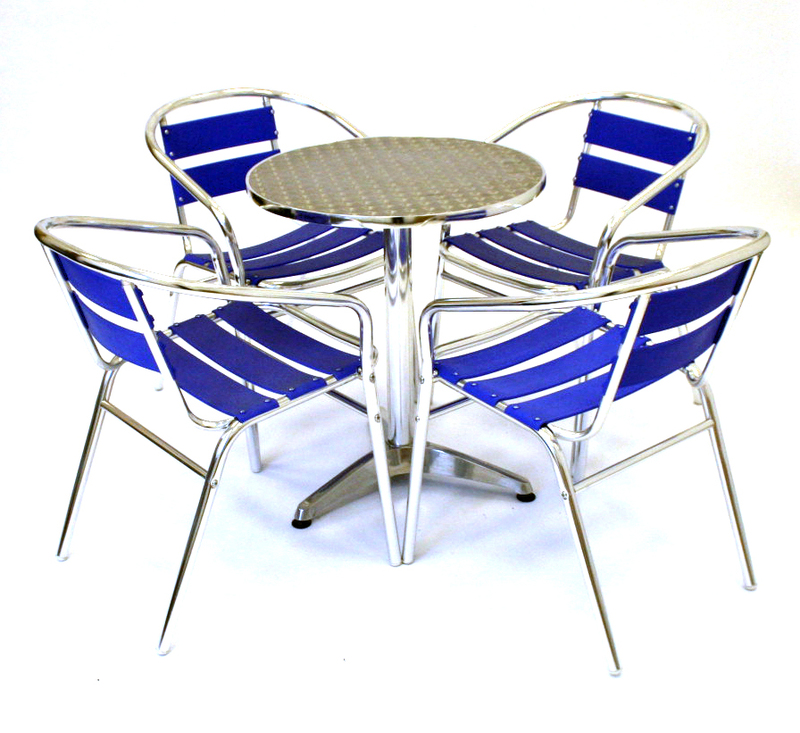 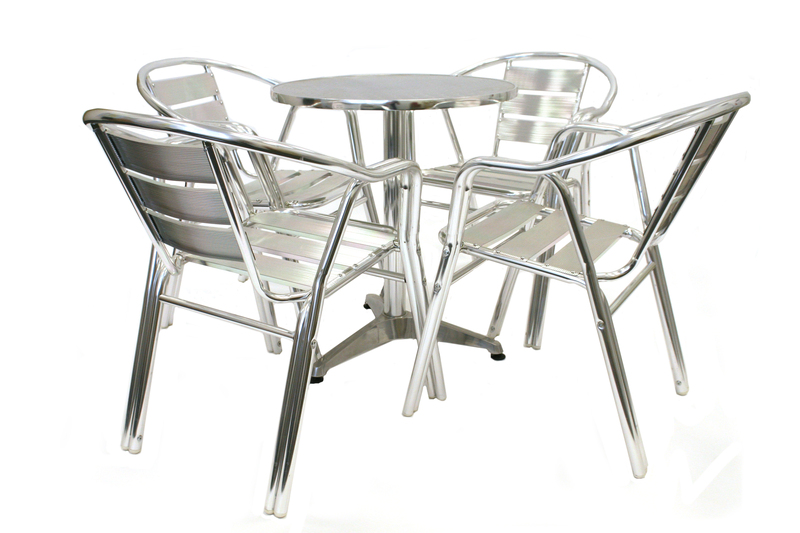 Aluminium cafe set comprising of 1 x YB504 aluminium table and 4 x SC-017 aluminium chairs. 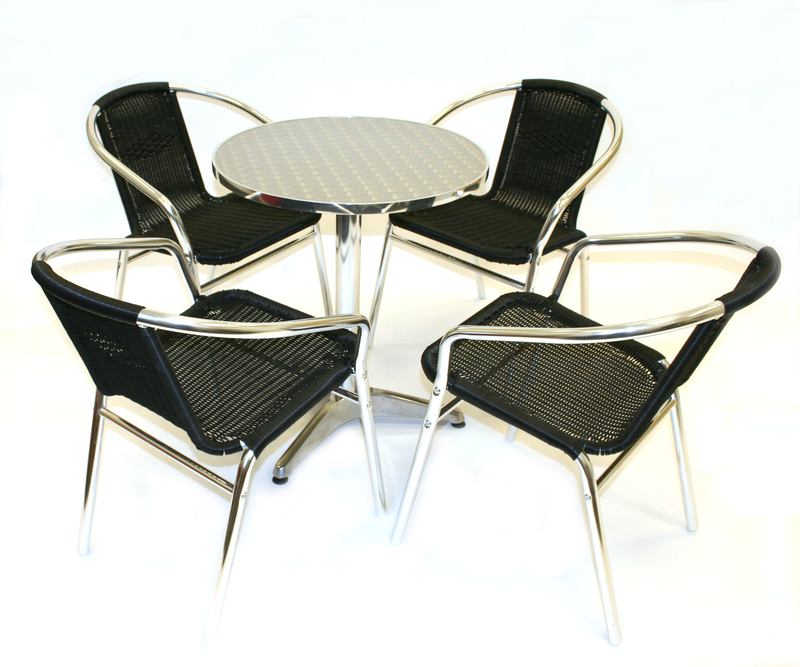 These sets are suitable for use in the garden or in cafe’s and clubs etc. 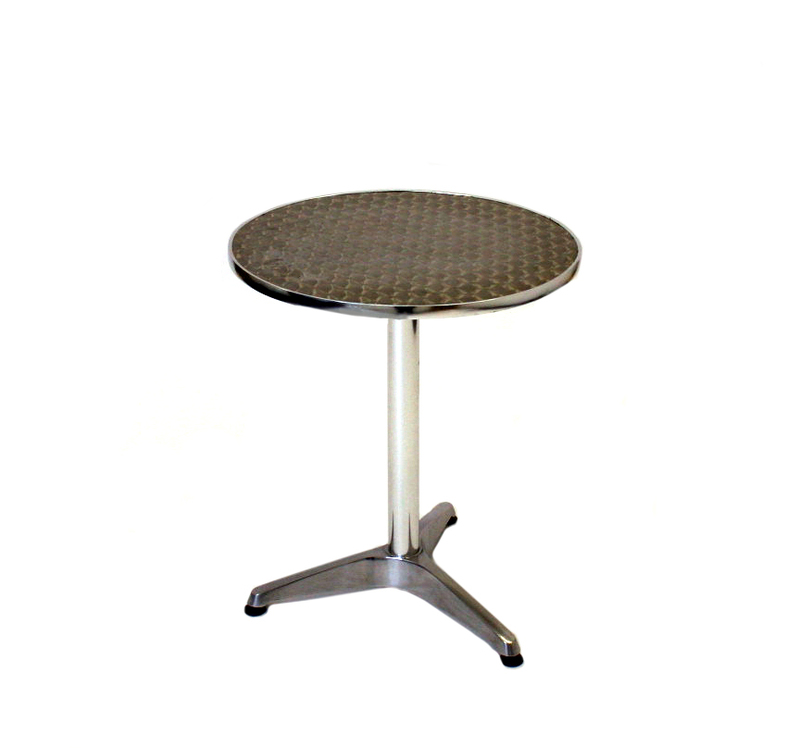 Tables are 60 cm diameter and 70 cm high, seat height is 43 cm. 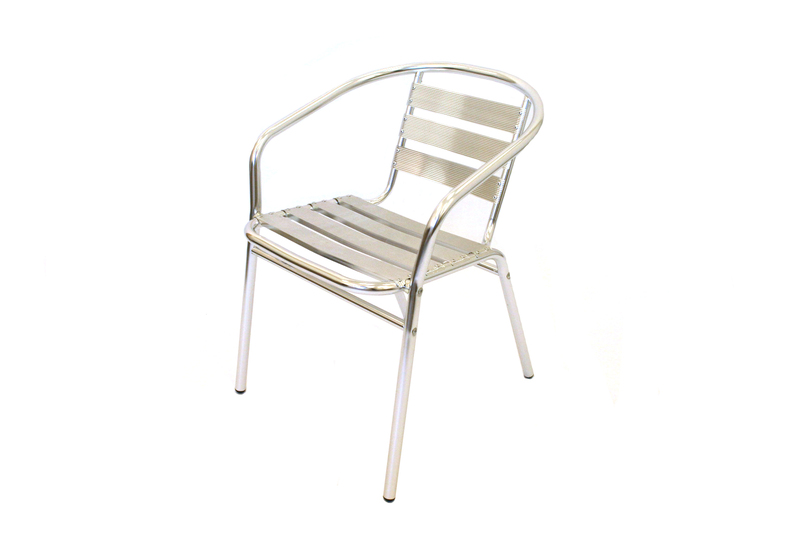 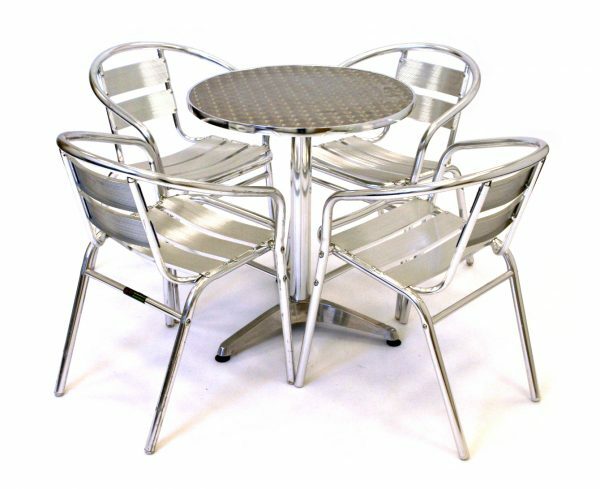 BE also stocks the aluminium cafe bistro set which have double tube chairs, ideal for heavy commercial use and both available with bulk buy discounts if purchased separately.